Meet Eleni Andreadis, Director of Sustainability at Sani Resort in Greece – part of our special interview series with sustainable tourism changemakers nominated by Green Key International. No doubt, Greece has received its fair share of – not always favorable – media attention over the last months. With all the focus on the country’s political leaders and economic woes, it is easy to forget the persons who are working hard to strengthen the sustainability of tourism in Greece, which has for a long time been and is likely to continue to be one of Europe’s most sought-after holiday destinations. Useful advice for hoteliers keen to embrace sustainability as business opportunity. Eleni, why did you chose to work in tourism? I was born into a hotelier business family and am part of the third generation involved in the company. When I came back after studying and working abroad for twelve years, I started the Sani Green programme at Sani Resort. At the same time, I consulted for the Hotel Federation and Ministry of Tourism in Greece, as well as the Bank of Greece, on a study quantifying the impacts of climate change on the Greek tourism sector. I also founded an environmental organisation that works on empowering children to save the planet and wrote a middle grade kids book, which was shortlisted for three national book awards. In our hotels, apart from environmental management and reducing our environmental footprint, we place a special emphasis on environmental education. Throughout my work and experience in the environmental field, I’ve considered this of utmost importance. When did you first discover your passion for sustainable tourism? My passion for tourism and the environment were always linked. I believe we have a duty to run our business in a sustainable way, but there’s more to it than that. It can also be a fun, engaging way to offer an incredible experience to our guests, as well as to connect with the local community. I find all that very exciting. 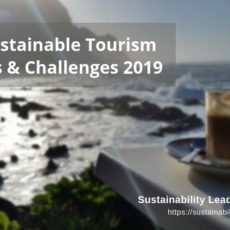 How has your view of sustainable tourism changed over the years, and now as Director of Sustainability of Sani Resort in Greece? 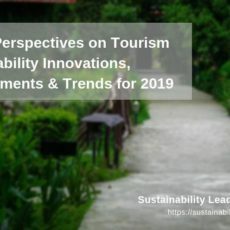 In the years I have been working on sustainable tourism, the focus has shifted from green to sustainability, as in including the local community and broader CSR efforts. I believe that is a more mature way of addressing the issue, placing the humans at the core. The environmental movement failed on this for many years, i.e. in showing the connection of environmental issues with humans and the impact on us. When we talk about climate change or plastic pollution, we’re talking about problems very much adversely affecting our lives. 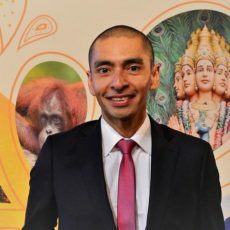 All these sustainability efforts in tourism shouldn’t be just about changing the world for future generations or saving animal species; these are critical reasons too, of course, but I believe that it is equally important to show how these initiatives improve our life and the guest experience today. If the sustainability initiatives do not become an integral and seamless part of the guest experience, then I think they will not be as effective as they can be. Which aspects of implementing sustainability at Sani Resort do you find the most challenging? The most challenging aspects had to do with the lack of infrastructure at the municipality level. To give you an example: it is very frustrating to me that there is no recycling offered in our municipality, one of the most touristic areas of Greece. What we had to do to get around this is to form contracts with private companies and sell them our recyclable materials and subsidize their transport costs. We have managed to have recycling rates of over 40% today through our own private efforts, with no support whatsoever from the state. But it shouldn’t be this difficult. Similarly, we get no economic benefit from diverting waste from landfills through recycling and composting. Pay-as-you-throw is not applied in Greece yet, which means that there is no economic incentive to reducing waste. We do it anyway and greatly invest in Sani Green, but it would be a huge help if the incentives were aligned correctly. Why the focus on sustainability at Sani in the first place? I believe that it is not only our duty – and I feel this very strongly, being a third generation hotelier in a family business – but that there are also three other key benefits to focusing on sustainability: it gives our staff a sense of pride in being part of our organisation, it excites guests and makes them feel good about spending their money with a responsible company, and offers great ways to engage with the local community and add value. To give you some small examples of what I mean, we won the KPMG award in Greece for our HR efforts around Sani Green: from training (at least 2 hours per each member of staff), newsletters or employee awards, which make our staff feel they have ownership of Sani Green. Our guests enjoy guided forest walks, honey making trips, farm trips and birdwatching, complimentary with our resident eco guide, which they then rank highly about when talking about their holidays or we get media coverage for. In the Sani Eco Days, held every Sunday, we showcase the best of local products and customs, offering us a chance to further help the local community. These are all points and chances for connections created by our sustainability programme. Which sustainability achievements at Sani are you most proud of? On a more general level, I am proud of our staff and how warmly they have embraced the programme. It wouldn’t be possible to do all this without their dedication. It is not easy to add more complex and time-consuming procedures – such as sorting out the recycling in the rooms when servicing it, if guests haven’t done so – but I have been very moved with how effective the training has been in raising awareness and how willing our staff has been to make this part of our culture. If I had to mention a specific initiative that I am proud of, I would mention our Sani Wetlands project. In partnership with Birdlife International partners, Ornithologiki, we have adopted the neigbouring wetlands area, where we have recorder over 220 bird species, created birdwatching routes, implemented measures for their preservation, published two books about them and host school visits to highlight the importance of this national treasure. Which have been the main benefits of implementing sustainability initiatives at Sani Resort? It is hard to quantify this. We have had some savings in terms of operational costs. For example, we saved 8,000 Euros just by replacing single use plastic bags in the gardens with reusable cloth bags. Other initiatives may incur costs, especially in the short-term, such as recycling, due to the lack of support by the state. The main benefit is increased guest satisfaction and staff pride in being part of a company that helps the environment, as well as opportunities for media coverage, which can be estimated in EAV (Equivalent Advertising Value). How do you communicate your environmental initiatives to guests? Firstly, it is important to be transparent and to communicate results in a measurable way. We have an annual Sustainability Report on our website, which guests can study if they want more detail on the facts and figures, as well as the qualitative side of our initiatives. On site, we have materials in the rooms and at Guest Relations, as well as on the TVs. It is very much part of the experience though. It is hard to miss Sani Green when you are at Sani. Your 3 bits of sustainability advice to resort managers? Firstly, make sure your stories are true. Don’t make sloppy claims that you can’t quantify and prove. Guests nowadays are very savvy. Environmental certifications offer a great guide to the things you should focusing on and the different areas to examine, if you need a place to start. Secondly, don’t view sustainability as an add-on feature. It needs to be part of your core offering and culture; a smarter, healthier, better way of doing things. Thirdly, aim to connect with your guests’ values. A great example of this is offering local food and supporting the local community in this way. People generally care about other people and this is a value they can quickly connect with. Fourthly, make the guest the hero too. Invite guests to help you on your mission to save the planet. In Sani we do this by asking guests to donate one euro upon check out, which we double, and donate to the preservation of our wetlands. We also offer the Sani Bear on sale in rooms, that supports forest conservation. Lastly, make your sustainability stories specific to your hotel. They need to be authentic and add value. Just saying you recycle won’t make your efforts stand out. People expect hotels to be recycling nowadays and you need to do this. But if you want to excel in your sustainability programme, you will need to do all that is expected of you, but also go the extra mile in being unique. Learn more about sustainability at Sani Resort on Sani-Resort.com. Our interview with Eleni Andreadis was facilitated by Green Key International as part of a special series of interviews. Learn more about Green Key and the Foundation for Environmental Education. 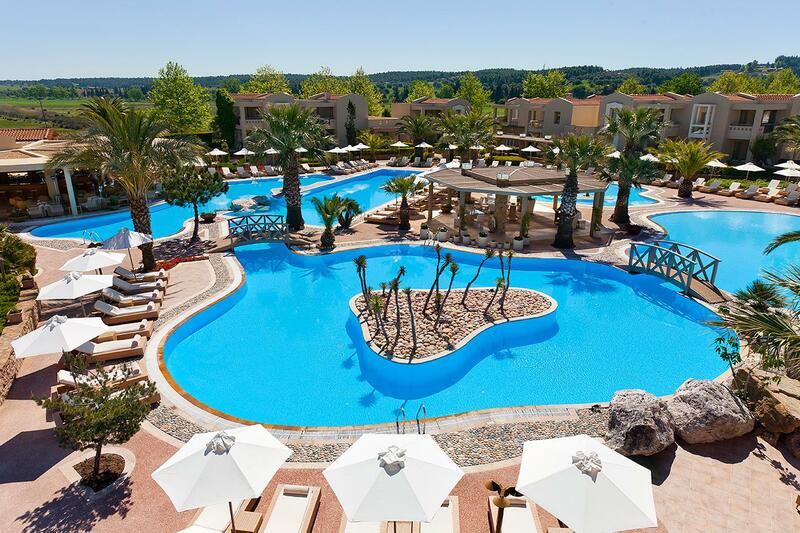 Enjoyed our interview with Eleni Andreadis on sustainability at Sani Resort in Greece? Spread the word!